We are ready for Easter 2016 at Emerald Coast Nursery with brand new shipments of palms, trees, shrubs and flowers! Beautify your home or business this spring and summer with items from our plant nursery, gift shop and garden supplies department. Remembrance cones for cemeteries will honor loved ones this spring and summer season. 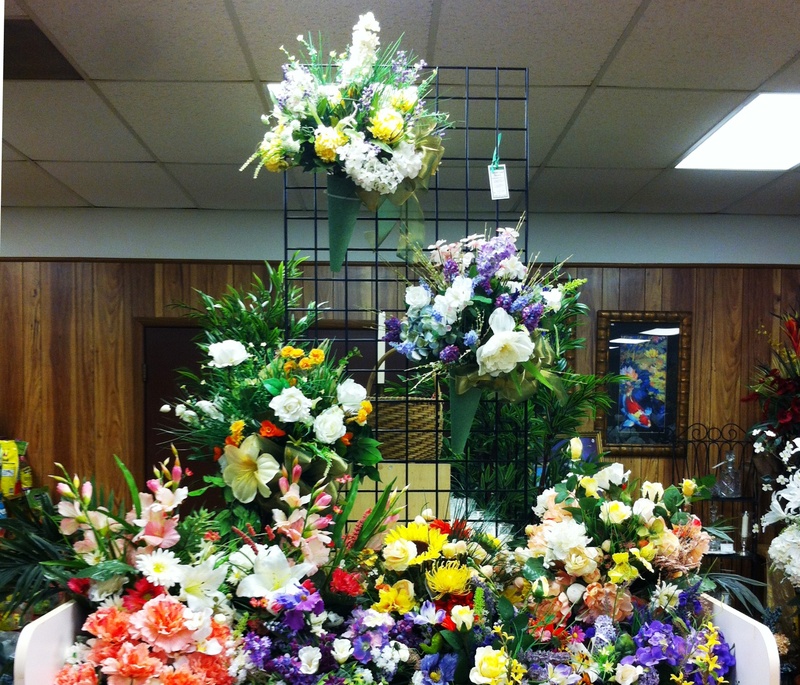 Elegant arrangements custom designed by local artists feature flowers of various shapes, sizes, and colors. Visit us at our Niceville, Florida location to choose the perfect remembrance cone. 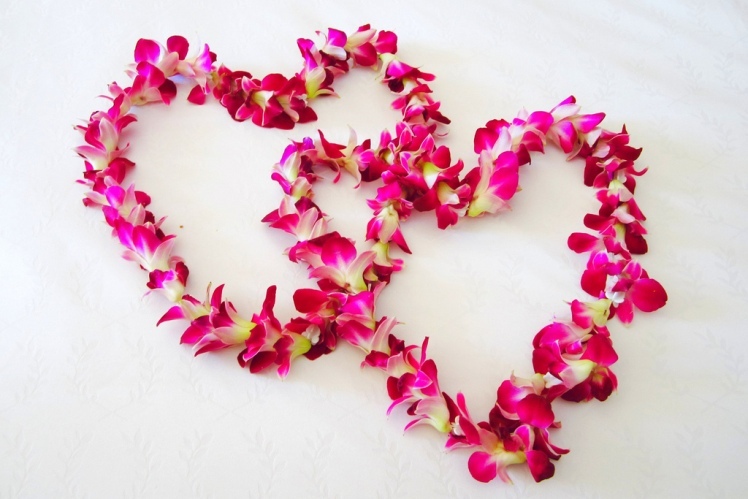 *With advance notice we can order most items that you need! 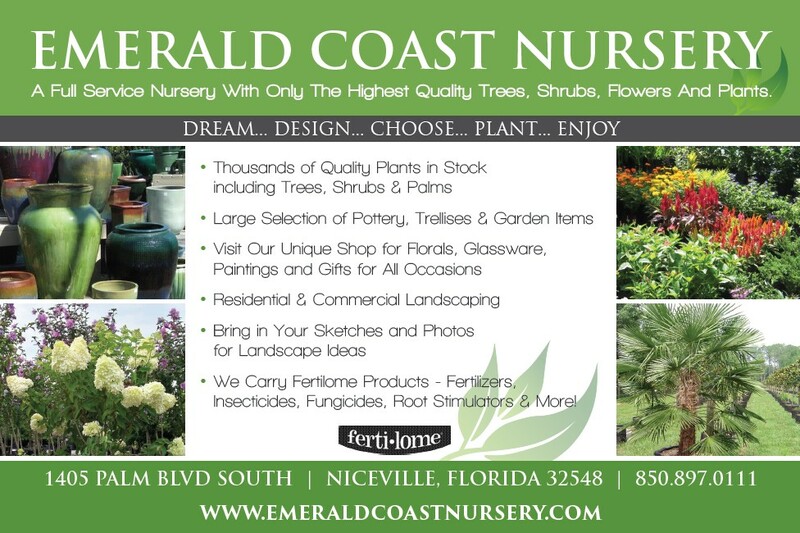 Contact Emerald Coast Nursery today to special order garden supplies, nursery items and more! New Products Available at Emerald Coast Nursery! We’ve added new pottery, trellises, garden items, and more in our shop and nursery in Niceville, Florida! We pride ourselves on top quality products that meet the style needs of our customers. From coastal elegant to modern style, we have the home & garden items you need in our showroom! *We carry fertilizers and insecticides both traditional and organic, including Fertilome and Foxfarm products!